Audio companies don’t come much bigger than Bose, but AR companies? When Bose announced it was making a pair of augmented reality smartglasses it caught me by surprise, but the more I thought about it the more it made sense. Then I tried them on, and everything clicked. Forget for a second that these are glasses at all. Bose has essentially made a hearable; the sunglasses I tried on at SXSW were just a 3D-printed prototype to hold the audio in place. While it does plan to release this technology in a pair of consumer-ready glasses in the future, the Bose AR technology can be put in all manner of wearable vessel, from headphones to cycling helmets – and probably more it hasn’t yet thought of. Bose wants to augment the world around you with sound, putting everything from turn-by-turn directions to restaurant reviews in your ears. It’s augmented reality by definition, just probably not the definition that immediately springs to mind. Visual AR is still a few years away from being truly compelling, but audio AR is here and now. And I know so, because I tried it for myself at SXSW. Bose gave me a very controlled demo in one of its pop-up labs, but after that it let me take the glasses out Austin’s bustling downtown. John Gordon, vice president of the Consumer Electronics Division at Bose, came with me to explain some of the features I could use, but I was free to roam and explore using the glasses as I wished. After pairing the glasses with a phone and testing the mic was working, I was good to leave the perimeter of Bose’s pop-up shop and enter the wild. So here’s the first thing that struck me: music sounds really good through these. Bose isn’t using bone conduction technology here, but what Gordon describes as a “tiny sound generating acoustics package”. The sound plays out of a small speaker above each ear, and it’s incredibly precise. At one point I took the glasses off and held them away and it sounded no louder than a pair of distant headphones; very little sound leaks from these. Yet when against my ears, it completely took over the room. Out on the street it had more of a battle against the music and throngs of drunk hipsters, but SXSW isn’t your typical environment. Once I had a playlist going, I started walking down the street. Now, the AR works by combining different sensors depending on what you’re using it for. For the sake of my demo, it was all about giving me information about local venues, which meant using a combination of the phone’s GPS with the nine-axis accelerometer in the glasses to know exactly where I was looking. I just needed to look at somethng, double tap on the right side of the frame, and the music would fade out with a voice telling me what, exactly, was in my line of sight. So I wandered about Austin’s Rainey Street looking at bars and restaurants, and with each double-tap the voice gave me a brief summary of the name of the establishment, what kind of food it served, and how long people tended to spend there – the kind of info Google will usually tell you. The only problem I had was occasionally struggling to hearing it over the hullabaloo around me, but not once did it fail to correctly recognize what I was looking at. While this was all working though demo software made for the show, Bose isn’t planning to create its own AI per se, but instead draw on data from other services and apps on your smartphone. At SXSW it announced the first group of companies it’s working with including Strava, TripAdvisor and Yelp. According to a short demo I saw, the Strava integration would detect when you’re near a Strava Segment (for the uninitiated, these are member-created challenges) so you can try and compete. But it also wants other companies to build Bose AR into their products, and it’s carved out $50 million to get startups involved. 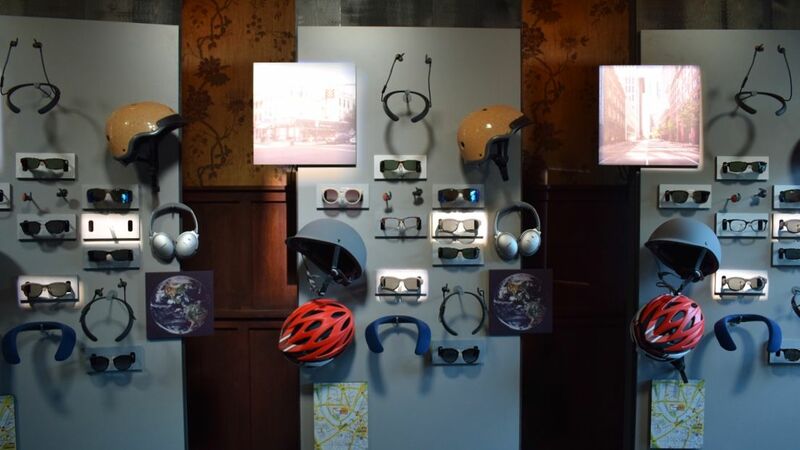 In its SXSW demo room Bose had constructed a wall of glasses, earphones and helmets to show that it really sees this technology having a wide range of applications. Headphones have their own advantages, says Gordon, namely allowing you to adjust how much sound comes in and out. 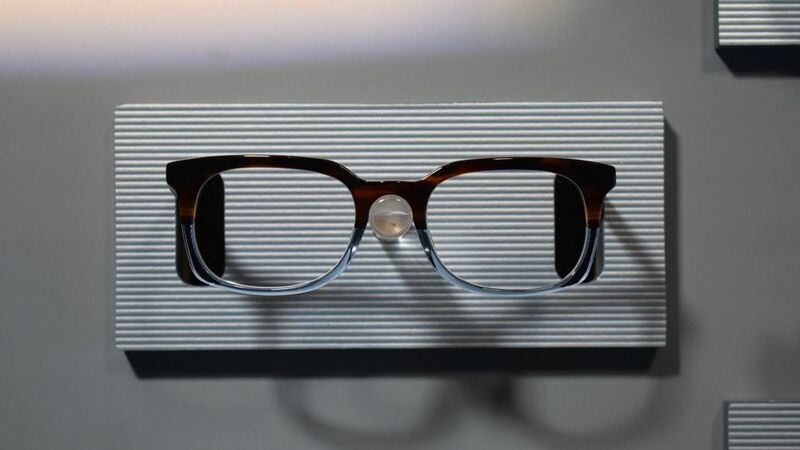 It’s also talking to established fashion brands about getting the technology inside designer specs. But Gordon says that Bose itself intends to release its own consumer products too, including Bose-brand glasses and, naturally, headphones. However don’t expect to get your hands on these glasses for a while. By the sounds of it, 2018 is going to be all about working with developers on hardware and the SDK, with a plan for consumer products to follow after that. Despite being able to take the glasses out into the wild, the demo was still relatively constrained, but it gave me a good taste of how all this might one day work. Like many other wearables, it’s about not having to reach into your pocket for your smartphone, but important it’s about feeding you information without being obtrusive. Glasses in particular get around the social isolation of headphones, and piping that info into your ears, rather than having it pop up visually on the lenses, means it’s not in your way. 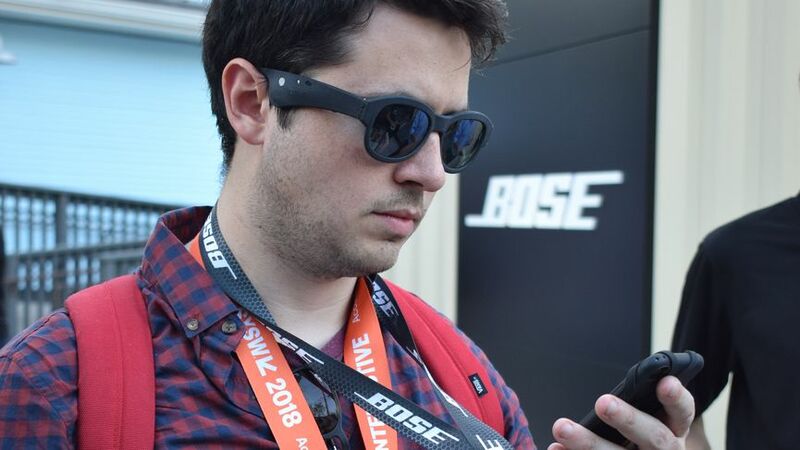 So really, none of this should have been a surprise to me at all; Bose is simply doing what it does best, but in a new and interesting way that could prove to be just the shot in the arm smartglasses – and to some extent, AR – need. 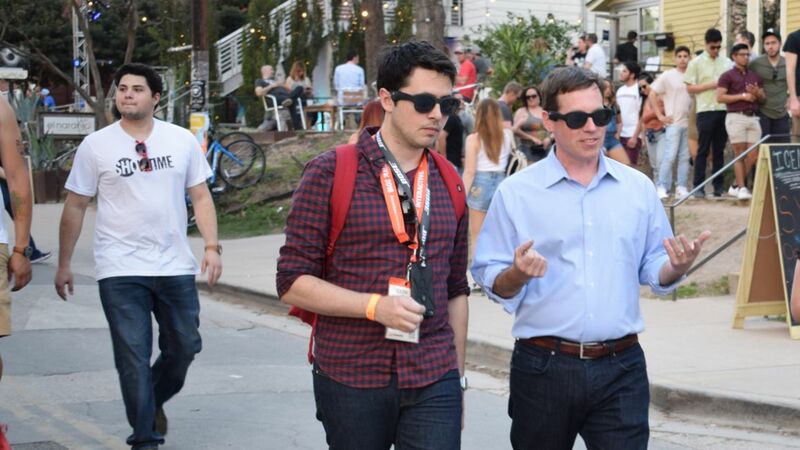 Thanks for your visiting on this page I explored SXSW, using Bose’s AR smartglasses as my tour guide, We hope this post can be a good reference for you and provide useful information for you :-).